A government ambition to incorporate more housing into a historically industrial area in the north of Amsterdam triggered an increased interest in the area with private investors. It was this incentive that influenced Koopman International to expand their existing office and show room with the purchase of Plot 41; an empty lot on the north shore of the Amsterdam harbour. 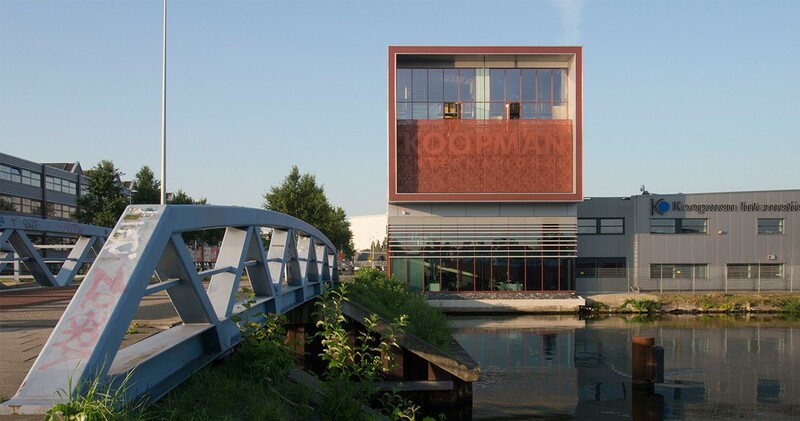 The expansion of the Koopman presence in the neighbourhood will provide a considerable increase in office and showroom space for the company, as well as the addition of two private residences. In total the building will add 1250 m2 of office space and 3200 m2 of additional showroom space for the company. Lot 41 is located to the south of the existing merchant buildings, and has views of the water and Amsterdam to the south. The building will serve as a new landmark for the area, and was completed in 2016. Several essential elements have been incorporated into the design in order to achieve the desired atmosphere suitable for a comfortable working environment. In order to take advantage of the close proximity to the harbour, and optimize available views, the nature of the design became very open and accessible. As a result of the spaces being open, improving acoustic qualities became a top consideration in the design. 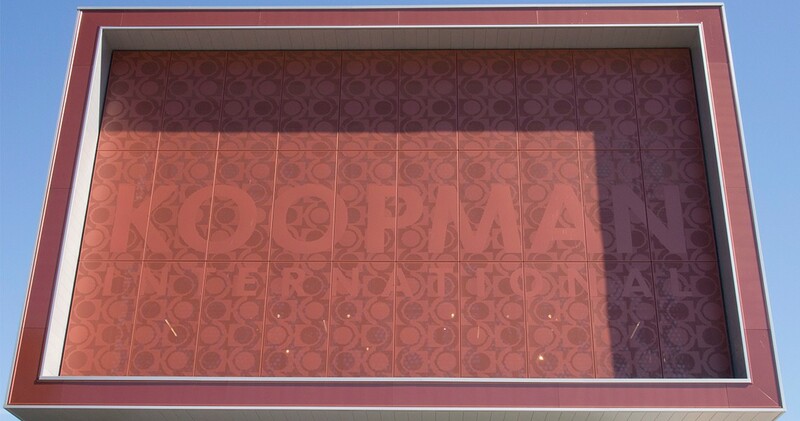 In order to decrease noise pollution, noise absorbing panels were incorporated. Solar gain and exposure was another concern for the quality of the environment. 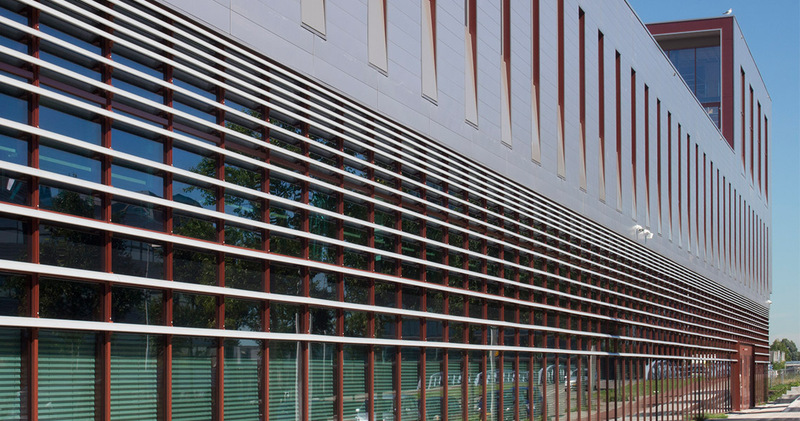 To control the quantity and quality of light penetration, horizontal louvers are installed on the facade, in addition to perforated window treatments that incorporate the company’s brand into their design. 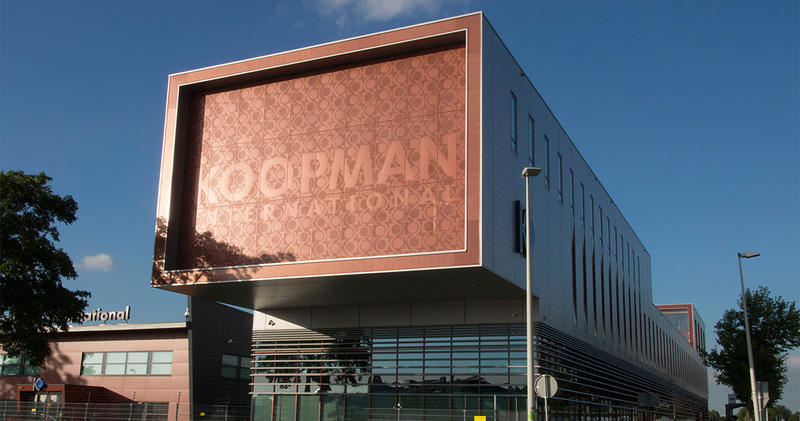 With the expansion of the Koopman facility it was important in increase their presence in the neighbourhood and promote their brand. To achieve this we took advantage of the site’s exposure to the north and south, which provide ideal opportunities to market the company’s brand. 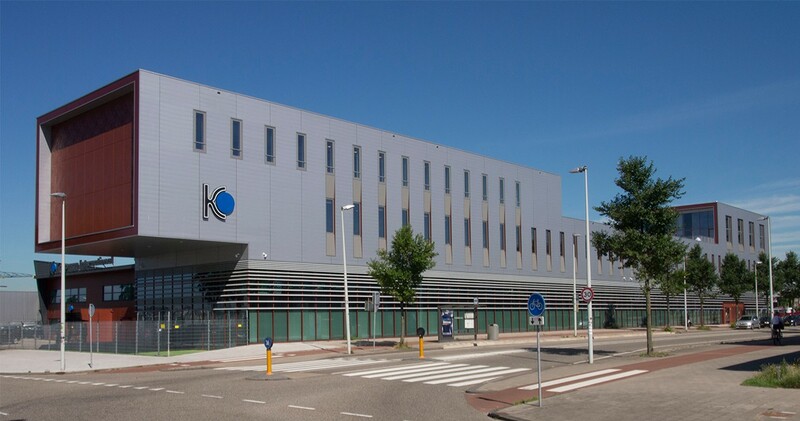 The north facade of the building acts as a landmark that is clearly visible from the water and from the adjacent street Ridderspoorweg, which acts as an access point to the neighbourhood and funnels traffic into the area. 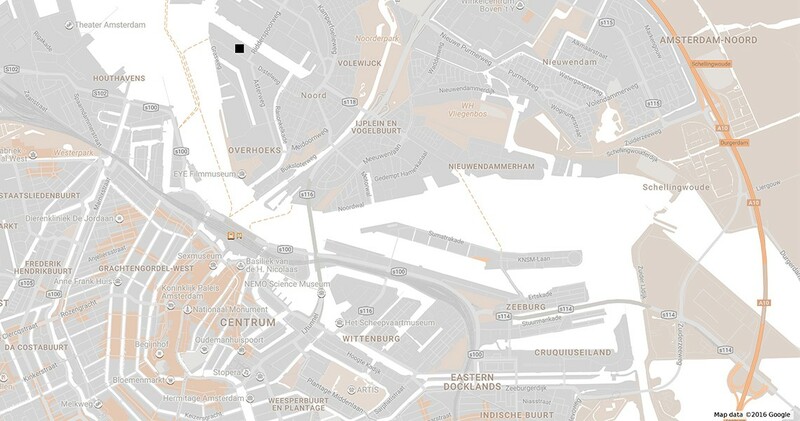 The South facade will be clearly visible from the Amsterdam harbour, and will be clearly distinguished from its industrial surroundings.